Just a quick post here. Saw these on Twitter earlier today. So it looks like we'll be getting some new DLC before the year is done. Hopefully it'll come with a patch to fix some of the problems like Master Gee the Unbeatable System Killer. I'll be looking forward to whatever it is. 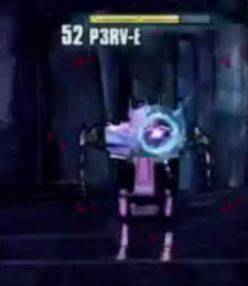 For the new character I am hoping for a faulty Hyperion robot that deploys a Jimmy Jenkins like tinier robot. There are plenty of Hyperion robots that go all wonky, so when can we actually play as one? Think about it- there's the Hyperion Intelligence Core, Mal, Innuendo Bot, Censor Bot, Jimmy Jenkins, and Perv-E- I'm sure there's plenty of other robots gone awry that could be fun. It would be loads of fun to play as an off-kilter Wee Loader! I'm running short on break time here at work so here's a quick rundown of some others I think would make for good possibilities. 1) A were-skag or were-bullymong with a Skill of transforming into the alternate character for a short time. Maybe a Midge-mong like centaur creature, there is so much potential here. 2) A Zombie left over from the Zombie island. Can use a puking skill with elements. 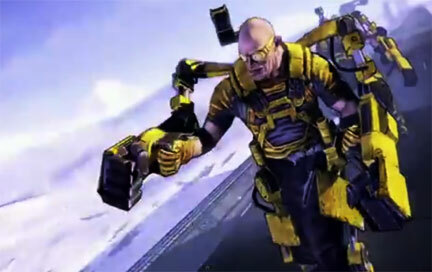 3) Hyperion or Torgue engineer type with the exo-skeleton for ground shaking or Brick berserking punchy goodness. Maybe an actual midget character that uses the exoskeleton to be "regular sized." 4) An escaped Rat with laser beam power. Let them have a Mordecai like Ransack skill for increased looting like a Rat Thief. 4) A Bandit. There's a plethora of things to draw on for a Bandit character. A bandit just one day gets sick of being repeatedly getting slaughtered by Vault Hunters and thus starts their journey. A possible skill -they could become enraged and get bigger and stronger like a Goliath. I would like to see a Skag rider or Giant rider. Why the hell aren't skags a ride already? Even a simple Axe thrower would be ok. Plenty of bandit kind to make use of. 5) A forgotten or left behind Atlus employee.